This is the last in a series of 4 articles on the topic of ingesting data from files with Spark. This section deals with ingesting a TXT file. 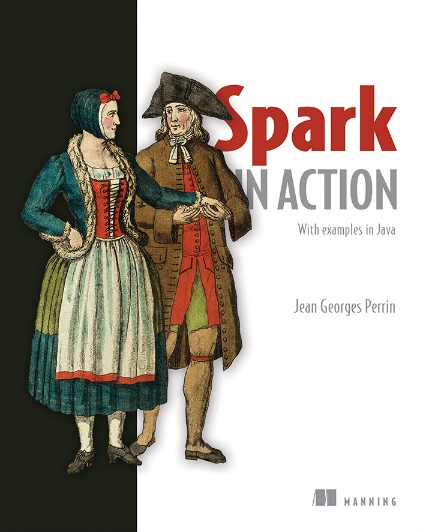 Save 37% off Spark in Action, 2nd Ed. Just enter code fccperrin into the discount code box at checkout at manning.com. This is the last in our data-ingestion series of short articles. So far in part 1 we ingested from CSV, from JSON in part 2, and from XML in part 3. In this section we’re going to ingest data from a TXT (text) file. Text files are still used around there and, although they’re less popular in enterprise applications, you still get a few at times. The growing popularity of deep learning and artificial intelligence also drives more NLP (Natural Language Processing) activities. In this section, you won’t do any NLP, only ingest text files. To know more about NLP, you can refer to Manning’s Natural Language Processing in Action. The task is to ingest Shakespeare’s Romeo & Juliet. Project Gutenberg (http://www.gutenberg.org) hosts numerous books and resources in digital format. Each line of the book becomes a record of our dataframe. No features need to be cut by sentence or word. Listing 1 shows an excerpt of the file you’re going to work on. Getting the files You can download Romeo and Juliet from http://www.gutenberg.org/cache/epub/1777/pg1777.txt. For this example, I used Spark v2.2.0 on MacOS X v 10.12.6 with Java 8. The dataset was downloaded in January 2018. Listing 1 shows the first five rows of Romeo and Juliet after it has been ingested by Spark and transformed into a dataframe. Listing 2 is the Java code needed to turn Romeo and Juliet into a dataframe. Unlike with other formats, there are no option to be set with text. It’s that easy! We’ve come to the end of our series and we hope that you’ve found it both enjoyable and informative. If you want to learn more about the book, check it out on liveBook here and see this slide deck.